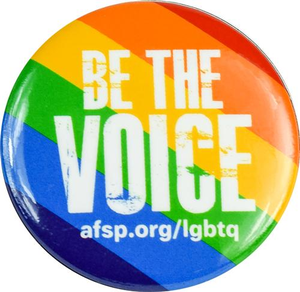 Display your support with pride by wearing a bold, rainbow LGBTQ Be the Voice Button. It’s the perfect way to remind others how important it is to “Be the Voice” when it comes to preventing suicide in the LGBTQ community. 1.75". Comes in packs of 25.